We offer theme kiddies parties on a budget! 'Hanna Montana', 'Barbie', Ben10' etc... with jumping castle's, gazebos, we supply tables and chairs and do catering for the kids! From only R1500 for 10kids! Also Offering free party treats for all kids!! We make provisions for adults...with the catering and sitting arrangements if needed. 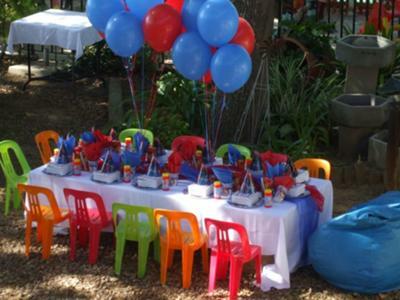 Situated in Fourways but we will come to your chosen venue and plan the best party for your kid!